John Walsh, who retired last December as Vice President from the Pasco Economic Development Council, has joined Commercial Asset Partners Realty. Walsh assumes the title of Commercial Sales Associate at the New Port Richey-based commercial real estate brokerage firm. 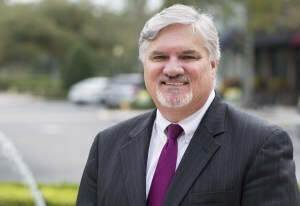 In his new role, Walsh will focus on brokering commercial real estate transactions for industrial and office properties and development sites in Pasco, Pinellas, Hernando and Hillsborough Counties. In his previous role as the longtime Vice President at the Pasco Economic Development Council, Walsh oversaw operations and marketing strategies related to business recruitment and existing industry expansion, as well as the establishment of a county-wide entrepreneurship program. During the 17 years Walsh was at the Pasco EDC, he was personally involved in helping 140 companies create over 4,000 new jobs and invest more than $360 million in the county, and for nine years held a position on the Pasco County Development Review Committee. Walsh is a Certified Economic Developer through the International Economic Development Council, holds a Bachelor of Science in Psychology from the University of South Florida and is a graduate of Leadership Tampa Bay. He received his Sales Associate License from the Florida Department of Business Regulation in March. About Commercial Asset Partners Realty: One of the top mid-sized commercial real estate companies in the Tampa Bay area, CAP Realty handles leasing and sales of retail, office and industrial properties, along with helping clients with real estate investment sales and land transactions. Based in Trinity, Fla., Broker-Owner Heidi Tuttle-Beisner and her team have built a company that has the experience and resources to handle a wide range of assignments, while offering a high level of personal service for each client. For more information, see the company’s website at www.cap-realty.com. 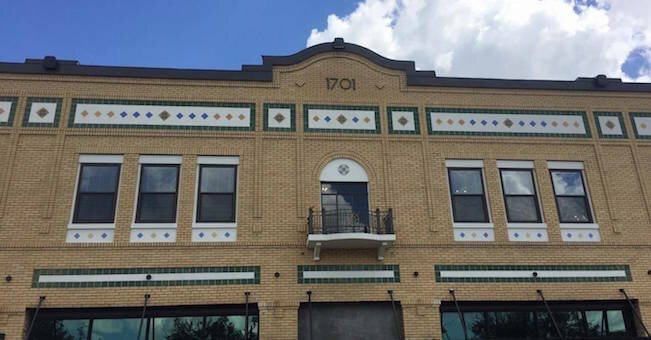 Flo-Five Holdings LLC recently purchased The Key West Center, a retail and office property in Northern Pinellas County distinguished by its metal roofs, colorful siding and office balconies with white railings. The 63,256-square-foot property on 4.49 acres at 2706-2710 Alternate US Highway 19 in Palm Harbor sold for $5.79 million. Charles Puccini, Sales Associate at Commercial Asset Partners Realty, represented the sellers, KWPH, Inc. and SST Properties, Inc. Michael Mehdipour, Broker at Elite Properties & Investments, represented the buyer, a private investor. The Key West Center is nearly half retail and half office suites and executive office space. The largest office suite is 6,000 square feet, and the average executive office is 125 square feet. The sellers owned and operated The Key West Center for more than 20 years. Selling the property involved Puccini working with two ownership entities with a total of 10 shareholders and 85 tenants in the center. 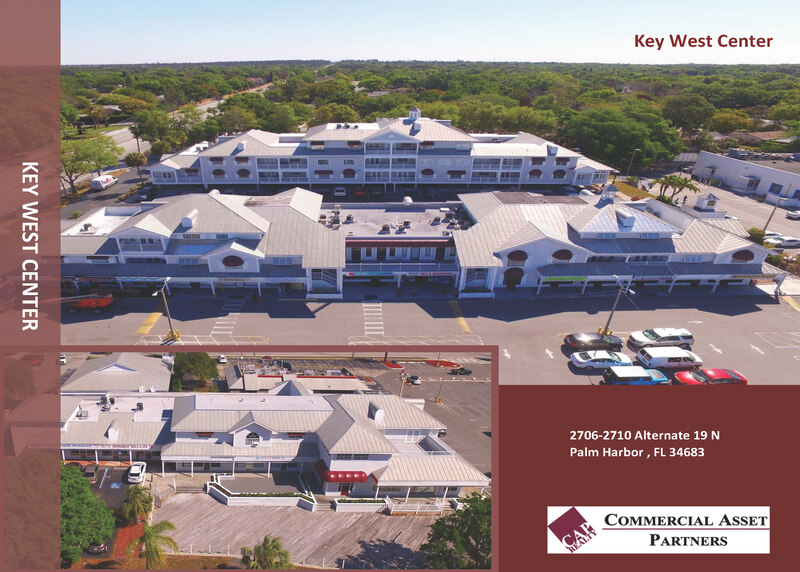 The Key West Center was 80 percent occupied at the time of sale. 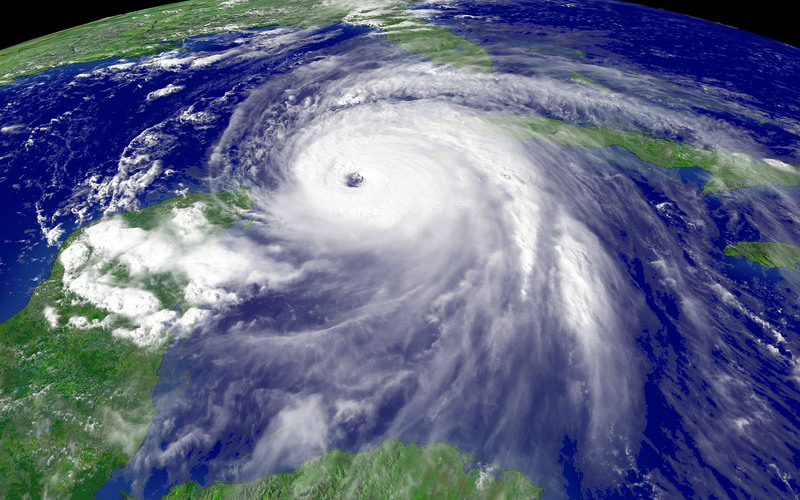 Hurricane Irma paid a visit to Florida Last week and reminded us how there is a difference between the existing protection systems and the needed protection systems. Protection systems would be your home, place of business, and the supply of utilities to each of them. We have been witness to the news reporting on the devastation that resulted from the storm. What we really see are some of the protection systems failing against the forces applied by Mother Nature. It should not be a surprise that the news media is able to show Key West and the 1 of 4 houses completely destroyed. We do not see this kind of devastation in Marco Island where the houses were built to high standards. The Keys area State Representative “remarked” that the only structures that survived the forces of the storm were made of concrete and steel. I refer her to the story of the Big Bad Wolf. Many people are still confused to the decision – to evacuate or not. This is a simple decision. If your protection system is not in excess of the potential forces – EVACUATE. This decision involves BOTH wind and water. The Government tries to help with this decision by issuing mandatory evacuations. The name itself is clear, but emotional factors get in the way of clear thinking. That happens all the time in life. In any event, the mandatory evacuations are called when the water effect is more likely than not to inundate a property. Until houses and businesses are built with submarine doors, the structures will allow water in. If your structure is within striking distance of ferocious waves, the water comes with great lateral force capable of knocking over whatever gets in the way. Current estimates for the damage caused by Hurricane Irma stand at $50,000,000,000 – half, or $25,000,000,000 is due to water. While the water issue is quite simple, the wind issue brings the most confusion. In the beginning, there were no real standards for building construction. As society evolved, which means learned lessons from events tike Irma, standards were introduced and later enforced by Law. This brings us to pre-Irma. There existed a Hodge podge of structures throughout Florida. Some built without standards, and others built to current standards – and many, many in-between. Now add 19,000,000 people whom most do not know to what standard, if any, their protection system was constructed. We factor in the young and newcomers to the state with little to no hurricane experience, and we have a cocktail for disaster. The weather media tries their best to help the viewers to understand that a category 5 storm is 500 times more likely to cause devastation than a category 1 storm. These categories of storm are related to the standards of building construction. Those structures not built to a code, or are portable, like a mobile home, are unlikely to withstand even a category 1 event. Category 2 storms will devastate structures built to early building codes. Most modern structures are built to withstand a category 3 event. Some property owners that can afford it – our Government, and wealthy individuals, build to higher standards and can withstand Category 4 or 5 events. Now to the result of Hurricane Irma – The Purge. This means that the structures that were located at elevations below the flood line were flooded. There was a reason those properties were cheaper, they came with the flood risk. Our Governments try to force new construction above the flood line to avoid future losses. But as we have seen, the storms bring the water and devastation results to those properties below the flood line. That’s a Purge. Going forward, the structures that survived mostly because they were not in the direct hit location will need to disclose that water intrusion happened and caused damage. This will have the Real Estate effect of holding down value. Eventually the structure will age and be torn down to allow for a new structure to be built to higher elevations and higher building code standards. This is the final stage of the Purge. Businesses are similarly affected. Those located in flood zones experience high flood insurance premiums, and you can see why. Winds cause damage, but not to the extent of residential housing. Commercial structures are built to higher standards because the facility is needed to run a business. A shutdown of just one week without power can be devastating to a fragile small business. Just as many Americans run paycheck to paycheck, small businesses depend on the regular flow of business. Back to one week closed. This represents about 2 percent of annual sales for a business. Add to that the paying of the fixed reoccurring cost without any income, and another percent and a half effect is realized. This is three and one half percent effect on a small business. Sounds small, but ask your small business acquaintances and they will tell you that it can be catastrophic financially. Again we have the Purge effect. The result going forward is that Real Estate that provides an environment with lower risk will be in demand and those that have risk will be less desirable and less available due to the destruction – another Purge. The Purge we do not want to talk about deals with human life. We have all heard about the tragic and needless loss of eight lives in South Florida. This event shows how some of us in our population have a very small tolerance for fluctuating environmental conditions. The lessons from the Purge in New Orleans after Katrina were to teach us that the people with the least ability to care for themselves suffered the greatest, a loss of over 800 lives. We saw with Irma in Florida a much stronger effort to evacuate the citizens. There were plans, and lots of Government and volunteer persons conducting the evacuations. As many as 7 million Floridians evacuated to higher ground and stronger facilities, or left the state all together. Left behind were some of the frail. Our Government will see to it that higher standards for the care of persons that cannot care for themselves are instituted. This will come at a cost to the facility operators and some may not be able to afford the investment. Hopefully this too will be a Purge, and force those operators out of business so an event like this one will never happen again. The Positive side of the Purge – In no time at all, because we humans have a very short and convenient memory, life will go on. Residential structures that did not survive will be torn down and disposed. New and stronger ones will be built. Many homeowners will purchase generators and stronger windows to improve the ability of their home to withstand a hurricane stress. Commercial properties will incorporate solar and generator power to help mitigate the loss of electricity to their income producing assets. Storefronts will be replaced with impact glass to get rid of the boarded up look and the business downtime that goes with it. Properties below the flood line will likely see even higher flood insurance premiums. Some property owners will make the decision to tear down the low lying buildings and rebuild higher and stronger with backup electricity. On a final note, our Federal Government will be addressing the National Flood Insurance Program by the end of this year. It was to expire at the end of September, horrible timing with Harvey and Irma fresh on the minds. We will be paying close attention to this issue since the majority of the effected properties are right here in the Tampa Bay area. Three years ago, the trend in Southwest Pasco was for mature businesses that leased their space – to migrate from New Port Richey and Port Richey into the Trinity area. For Commercial Asset Partners Realty, this was our experience as well as our observation. The price delta was small enough – as in prices were low enough in Trinity, and could not get much lower on US 19, so the opportunity was there to make a move. The Governments hated this trend as this only fueled the taxable value downturn in the US 19 corridor even more. We were all waiting for the day of – The Return Wave. As economies go, they do not perform the way you want them to. They perform as a response to market pressures. As of last year, the Trinity market approached “technically full”, as in all the desirable spaces were leased. The new emphases turned to developing land and new construction. Both of these features also react to the forces of the economy. We have all heard that “they aren’t making any more land”, so the pressures from supply and demand have taken hold and land owners are enjoying harvesting record prices. Along with the land, comes the costs of construction. Years back, Pasco County had a great supply of contractors and tradesmen. As an effect of the economic crash, and the advancement of cyber type careers, construction hires for tradesmen has lagged behind the demand. This pressure causes wages to increase for the individual construction worker – good for the worker. This also causes construction prices to rise and construction schedules to lengthen – bad for the developer and end user. The Reverse Wave – these conditions are now making the existing properties along US 19 attractive for their shear existence. They are immediately available, and are eligible for updating and remodeling – both options that are cheaper than the new land and start from scratch approach at current escalating prices. We have participated in, and have witnessed many new transactions in the Return Wave. The work underway by the Governments to improve US 19 and the incentive packages that are being offered, are working. Buildings are changing owners. Investments are being made. As a result, values should continue to increase. This improves the tax base and generates more tax revenues for the Governments. The Governments can offer more and specifically targeted incentive packages, and sponsor improvement and repair projects of their own. All of these improvements are compliments to an improving overall economy. The time that elapsed for the Wave to develop – and the Return Wave to gain economic momentum, has been years. This means that the “A” tenants are in the “A” spaces, “B” is in “B”, and so on. A long elapsed time for an economic trend, usually means a long time required to reach a bubble – something none of us want to see or talk about for a long time to come. We at Commercial Asset Partners Realty are thrilled to have you here. Please stay tuned as we further enhance our blog with more content for our viewers. There are a lot of exciting things happening in the Commercial Real Estate world right now- make sure you are the first to know about it!